Rene Renkema, Vice President, Scania Financial Services worldwide and Board Member of Scania South Africa, paid a visit to South Africa to inaugurate the new wing of the Scania-supported SKY project in Kliptown. Trucks and Heavy Equipment magazine had an opportunity for an exclusive interview with Vice President Renkema to assess his views on South Africa from a global point of view. “At Scania we are kept well informed of all the developments in all our markets and at our subsidiaries across the globe,” he said. “Together with the South African Board of Management we regularly assess the risks and opportunities. “As far as South Africa is concerned, it must be emphasized that ours is not a short-term view. We look at medium-term trends, while obviously keeping close to local socio-political and economic pressures. Generally, our view of South Africa is positive and we remain optimistic that this region is a growing platform for further entry into the developing African continent. “With regard to Scania Finance in particular, we have been pleased to see that the rate of non-performing loans are lower than most economists have been forecasting. This is a good sign that South African operators are sophisticated, responsible and savvy with their business and financial management,” said Renkema. 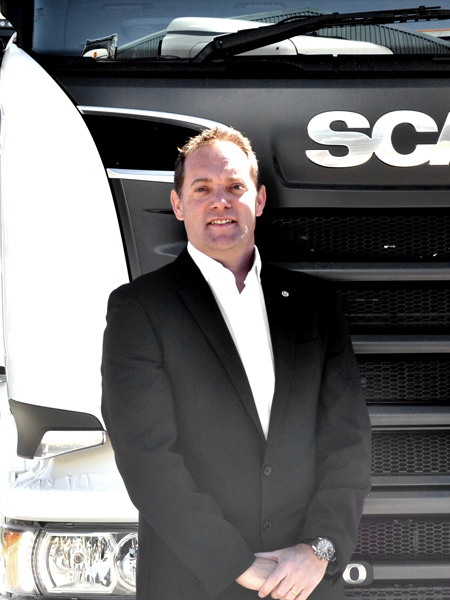 Scania Finance SA’s Managing Director, Matthew Lawrence (pictured), joined in and added that Scania’s outlook appeared to be more positive than most others in the industry and that locally Scania Finance was enjoying good uptake on their value-add financial service offerings.